Transform your terrace or garden into an extremely elegant quiet zone with LOUNGE. The system consists of four individual carcases, that is two centre modules, one corner module and one stool. The backrests are inserted by means of a slot on the carcase, and lift out easily in a single movement. 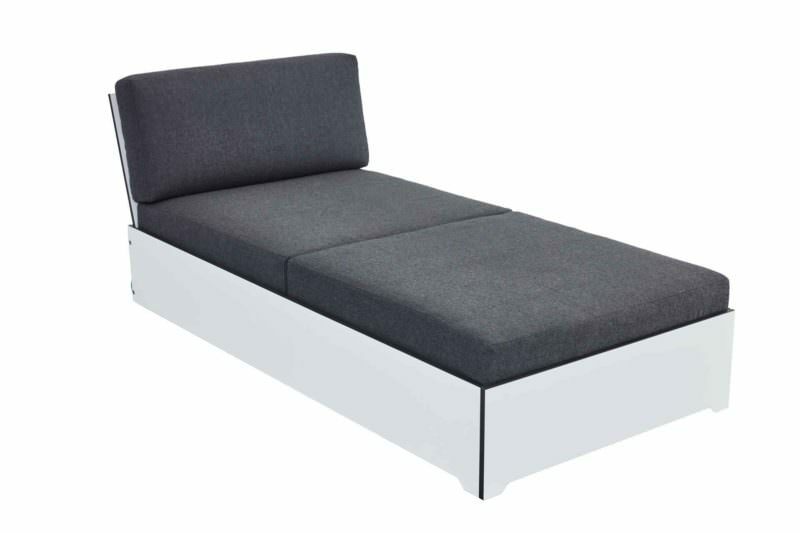 Our daybed is available in white or anthracite HPL with a two-piece lounger cushion and a back cushion. The head section is adjustable. You have the choice of versions “with wheels” or “without”; the version “with” is, of course, even more flexible in use. 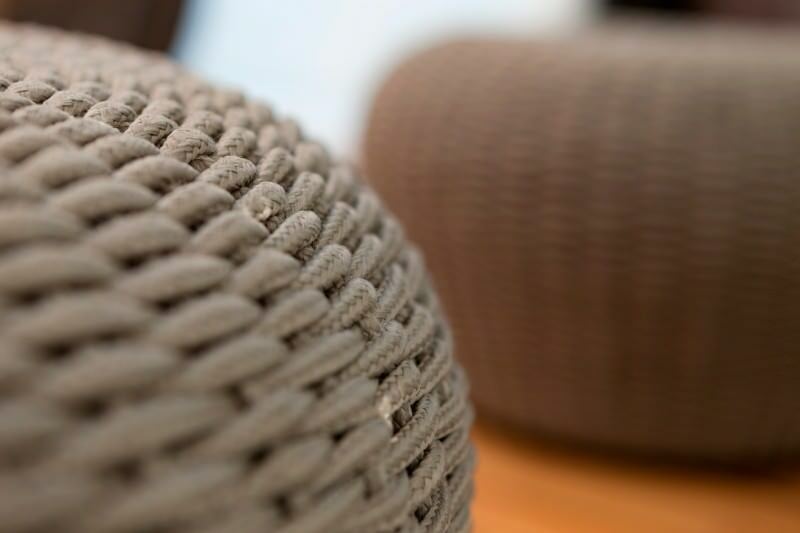 The basic material is special rope used in yachting that – it's well known – has to cope with all weathers and considerable temperature fluctuations. Add a little salty seawater, and you have the ultimate durability test. In other words: once you are able to call our Indoor-Outdoor furniture your own, you will do so for a very long time. Enjoy a nice glass of wine on the terrace as the sun goes down – that's something we'll be happy to help with. 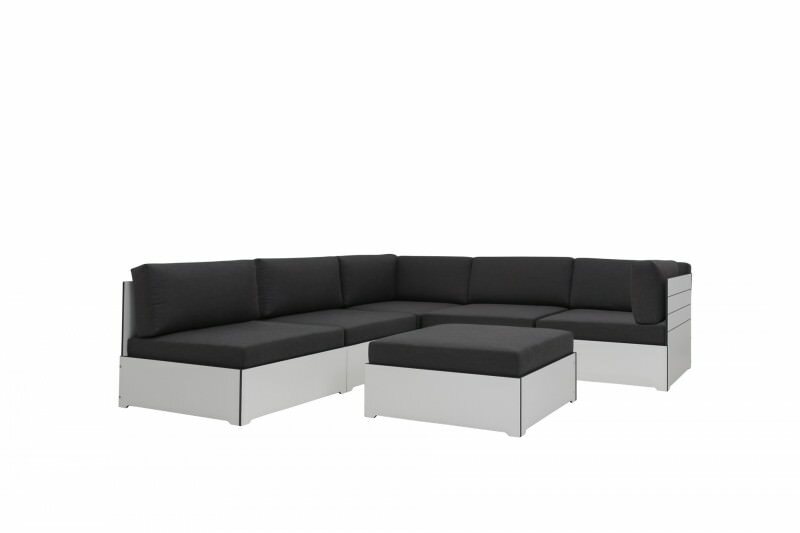 You can easily combine seating landscapes with the LOUNGE HPL modules by Village Garden. All you have to do is provide the guests (but only if you want to, of course). The various modules in the system can be used individually or combined in lots of different ways – whichever suits your taste. 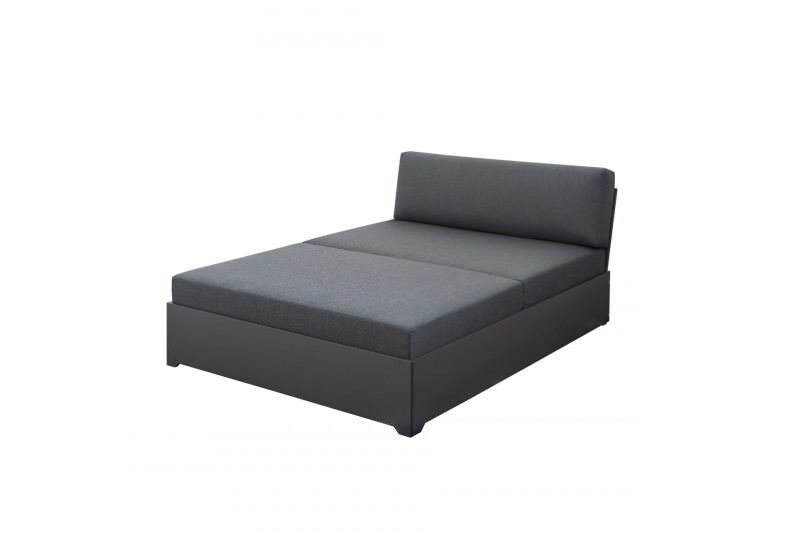 Lounge daybed HPL anthracite with cushion and pad in Sunbrella Natté: the garden lounger daybed by Village Garden is available in white or anthracite HPL with a two-piece lounger cushion and one back cushion in weatherproof anthracite Sunbrella fabric. Making every sunset on your terrace an absolute delight. The head section can be positioned upright or in a lying position. With the wheeled version, you can easily move your daybed around and follow the sun.